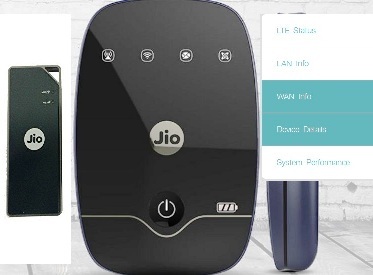 Jio Dongle 2 users use the jiofi.local.html and 192.168.1.1 url to change the Login Details, Password Changing, Accessing memory card, Jiofi 2 Battery Status and you can Jiofi 2 Settings…. Dude’s who are not get the Reliance Jio Sim or not compatible the Jio 4G Sim those users here is the another option for you. Jio launches a device named as Jiofi Dongle or Jiofi 2 Mifi. This Jiofi Device has spread the wifi to your device. The main function of the Jio Dongle 2 is it is a wifi hotspot device it shares the internet to 10 nearest wifi devices or smartphones. This is useful for Internet or browsing lovers. In jiofi.local.html login or 192.168.1.1 it and you can check your Jio Dongle 2 Battery status. Jiofi is a wifi hotspot device so many users are confused for how to change the login credentials like Broadcasting SSID and Security Key. And some Jio Dongle users also how to know the battery status of Jiofi Device. Here we will give the brief information about on it. After the opening the URL you can see the jiofi.local.html Login button. Now come to settings tab in the left side you can click on ‘WiFi’ tab. Username and password same as mentioned above. Note: If you know the Jiofi battery status or Jiofi 2 Battery percentage. Just the open the jiofi.local.html left side of your screen click on Device Details. See the “Battery level”.